Thank you for stopping by. This blog is my journey into a world where social media, technology and journalism intersect. As I navigate my way through this exciting new world, one filled with endless possibilities, I hope to journal my thoughts, my experiences, and my occasional run-ins with disaster! This is my sounding board as I experiment with a medium that is not only exciting but challenging, too. As a journalist with, perhaps, an idealistic (but sincere) desire to change the world, I hope to learn how to use social media to mobilize social change. I believe in the power of community and would love the opportunity to use social media to raise awareness and inspire action. And while I’m sure it’s going to be a bumpy ride, I would love if you came along. Enjoy your stay on my blog and please drop me a line if there is anything you would like to share. You can follow me on Twitter @shilpikadas or you can e-mail me at shilpikadas(at)gmail(dot)com. I love your blog. You are *such* a good writer. Just wait until I do my latest idea: #blogmonday. Like #followfriday, I am going to recommend others’ blogs. Thank you, Mark. That means a lot coming from you. I noticed your tweets on #blogmonday. Love the idea…I’m definitely on board! Excellent Blog…your name rings a bell..where you in sda batch 99! Thanks, Abhijit. Yes, I was in that batch. Were you in the same batch? Yes, i was..that seems like a distant past now…eons ago! Waiting on gtalk messenger for you to discuss abt social media. I have added you to my gmail, writer much.. lets talk some business! Ur blog is interesting so r ur tweets. 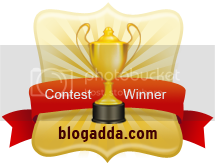 Hi, Shilpika, This is very nice to see your blog. It is excellent.We have started one of the news agency named Newsbee Network Pvt Ltd since one and half years, based at delhi.We are snding the news to the different channels in india. We are planing for the extention of the services to abroad.If u can help us regarding this it will be very pleasure to us.